Excellent overall experience, swift and efficient check-in and out, apartment layout very good with air-conditioning in all rooms, free wi-fi and Foxtel channels. Thoughly enjoyed or stay, the suite was beyond our expectations and all the staff were wonderful. Have been coming back for 10 years its the only place we stay when visiting Melbourne have yet been able to find fault ...the dtaff are always so friendly and helpful, meals are excellent and is just so central to everything especially being a short walk from the Skybus and train station not forgetting the tram is outside the front door. Could not fault had a great holiday in Melbourne and a beautiful hotel to call home while visiting, would stay again. Yet to have a bad experience here! It really was perfect! The location is great, the room is comfortable and the staff are lovely. I manged to ask three different staff members (on reception) for advice and they were all knowledgeable and friendly. Will definitely stay here next time I visit Melbourne. Second timev staying here. Excellent as usual! Friendly staff and wonderful central location. Loved the quietness of the place. That is equal in importance for us to cleanliness and a good bed! Front desk staff were superb, all in all a wonderful experience. Staff as always excellent, very comfortable room. Only issue was with Breakfast which has previously been very good. We had eggs Benedict and the muffins were rock solid, ham just out of a value pack from the looks of things and water on the plate from the eggs (assume when transferred from pan), this is only a small thing and will definitely book again but might go a different choice for breakkie. I really enjoyed my stay. I found the padding on the mattress to be very comfortable and soft. In fact, it could only be described as luxurious. I also appreciated the fact that there was a skylight in the bedroom and that there were a number of air conditioners throughout the room. I also really enjoyed the sympathetic renovation of the building. I liked how it retained some of its character and charm whilst being totally updated. Always enjoy staying at the Alto. Great position-suits our needs.We love the green rating as well. Very pleasant stay. Enjoyed our time at the Alto Hotel. Only downside is that can be noisy in the lane way behind. the staff were amazing. and breakfast was a pleasure and very nice.compliments to the girl working on the weekend in the dining room- think her name was Hanny- black hair- very friendly and professional. Very happy. Definitely would recommend to friends. Wonderful stay once again. The staff are so friendly and always welcoming. 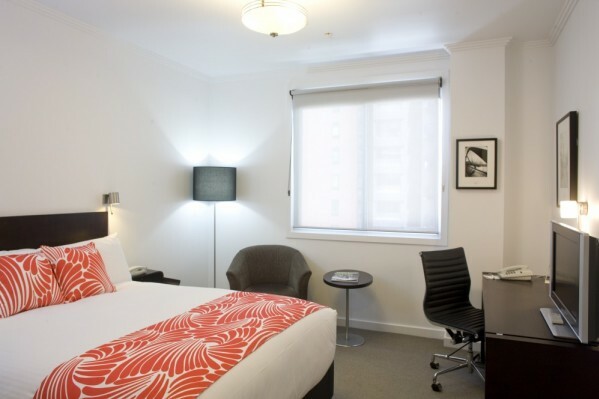 Alto is my hotel choice whenever I visit Melbourne. Friendly staff, comfortable clean rooms and perfect location. Lovely hotel, location & staff. Very comfortable room & well appointed. Wish I could have stayed longer! Will definitely book again when the time comes. I have stayed at the Alto many times and always find the same friendly service and clean comfortable accommodation. All staff members are pleasant and helpful. The evening meal menu was interesting and I thoroughly enjoyed the meal I had there. Great location, friendly and helpful staff. Had a very pleasant stay... The hotel was conveniently located near the station. Staff very friendly and helpful. Staff were friendly. Rooms were clean and extremely comfortable. Walking distance to everything.